We are committed to “de-commissioning” Enbridge’s Line-5, a portion of which lies on the “submerged” lands in the Straits of Mackinac. 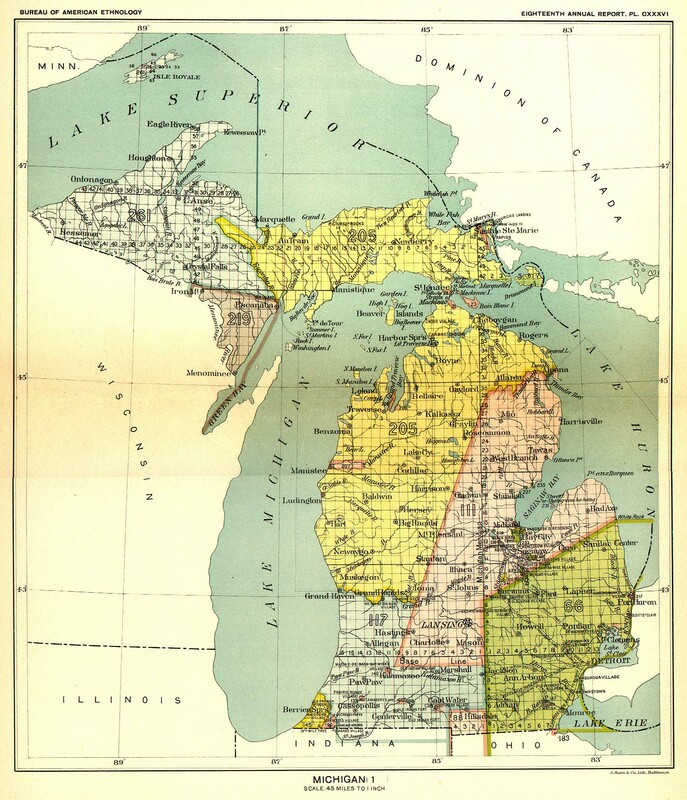 If you look at the attached “Royce Map” of Michigan, you’ll see “Reservation Areas 21 & 22” at the Straits (one north, one south). It appears certain that Line-5 runs through at least one of these Reservations, probably both. We are exploring the possibility of using the Royce Map in combination with the Tribal Water Accord to challenge the siting of the pipeline through Reservations 21 & 22. Here’s the relevant language from the Water Accord: The Governor and the Tribes “commit to sending representatives to meet at least twice a year to review the quantity and quality of our water resources and to develop strategies for protecting those resources including recommendations for state, federal and tribal legislation, and international treaties, coordination of permitting activities, and cooperation on enforcement of water protection laws.” Emphasis added –Enbridge needs a valid permit to site Line-5 on the submerged lands in the Straits.